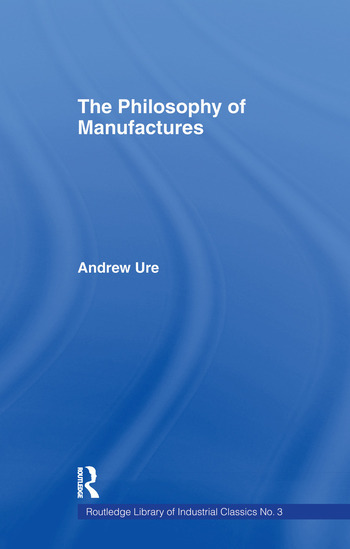 Andrew Ure (1778-1857) was a professor at the University of Glasgow and an enthusiast for the Industrial Revolution’s new systems of manufacturing. As we know, a consequence of these new developments was the redundancy of many workers, just as we are experiencing today with ‘downsizing’ and ‘reengineering’. This study details the creation of the general education system as an answer to the need for less self-willed and intractable workmen, which were unfit to become "components of a mechanical system". In our times of permanent technological revolution, this is an excellent insight into the roots of industrial progress. Understanding rural workers' shock and their need to readapt to a new urban, factorial reality, and the white collar workers’ dilemma of social security or entrepreneurship is achieved by this fascinating and important book.